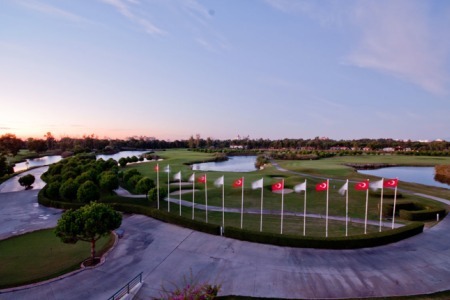 Antalya Golf ClubIreland’s Gavin Moynihan and Kevin Phelan are battling for a top-20 finish in the weather-reduced World Amateur Team Championship in Turkey. Despite the handicap of Dunbar’s absence, the Irish duo were tied for 16th place before play in the third and final round was suspended for the day with the USA eight strokes clear of France on 24 under. Starting on the back nine at the David Jones designed Sultan Course, Phelan was one over through nine holes and tied for 12th in the individual standings on four under, ten strokes behind Mexico’s Sebastian Vazquez and American Chris Williams. Frustrated on the greens, Moynihan was tied for 56th on two over having the opening six holes of his third round in level par with a birdie at the 10th canceled out by a bogey at the 13th. The championship was shortened from 72 to 54 holes following a weather delay that allowed only six teams to finish the second round on Friday. The second round was completed Saturday with the USA holding a six-stroke advantage over the Republic of Korea on 266. Following the completion of the second round, 36 teams started the third round on Saturday afternoon and 36 teams will begin their third rounds on Sunday. Earlier on Saturday, Americans Chris Williams (67) and Steven Fox (68) combined for a 7-under 135 in the second round to help the USA break the 36-hole scoring mark of 266, held by the gold medal-winning USA team of 2004 in Puerto Rico. The Americans are going for their 14th Eisenhower Trophy and their first since 2004. A sensational 64 by The Island's Gavin Moynihan and a 68 for Greystones' Paul Dunne have given Ireland a sporting chance of a clinching a best ever finish in the World Amateur Team Championship in Japan. 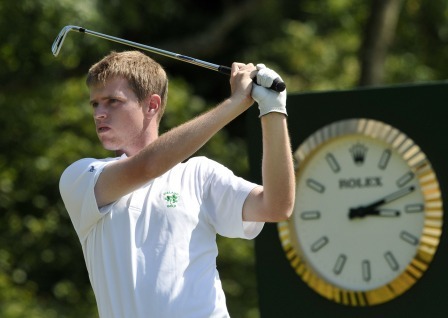 The Island’s Gavin Moynihan has been selected to play in the Eisenhower Trophy in Turkey in September. Picture by Pat CashmanAfter weeks of speculation about the make up of the three-man Ireland team for the Eisenhower Trophy, the Island’s Gavin Moynihan has been selected to accompany Rathmore’s Alan Dunbar and Waterford Castle’s Kevin Phelan at Antalya and Cornelia Golf Clubs in Turkey from 4-7 October. Kevin Phelan was the best of the Irish with a three under par 68 Ireland finished the opening day of the Eisenhower Trophy a daunting 12 strokes behind the United States after Alan Dunbar was unable to tee it up due to illness. 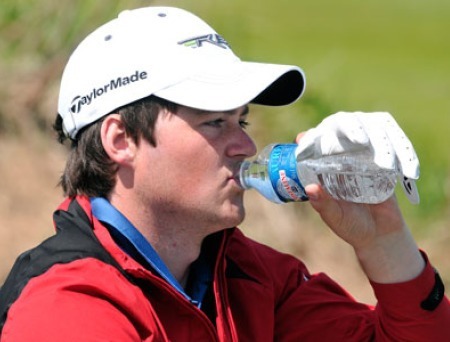 Alan Dunbar must stay hydrated after picking up a nasty bug in Turkey. 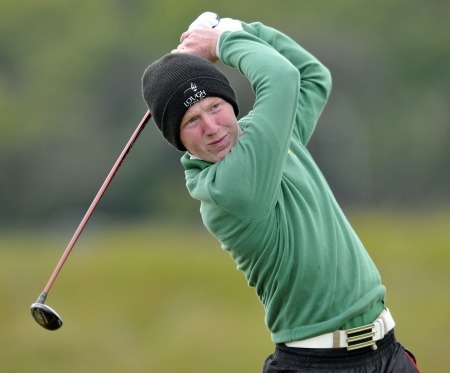 Picture by Pat CashmanAlan Dunbar could yet help Ireland’s cause despite being forced to sit out the weather-delayed second round of the World Amateur Team Championship in steamy Turkey. 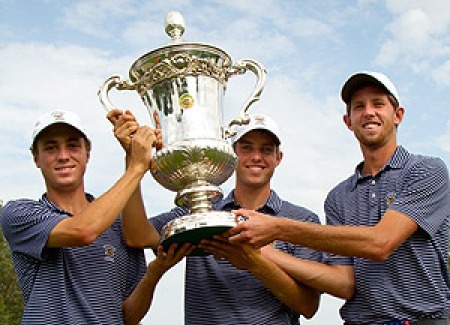 The USA team of (left-right) Justin Thomas, Chris Williams and Steven Fox lifts the Eisenhower Trophy. (Steve Gibbons/IGF)Ireland’s Gavin Moynihan and Kevin Phelan finished tied 27th as the United States won its 14th Eisenhower Trophy by five shots at Antalya Golf Club in Turkey.